Ras Sound Intl. presents Zagga - "The Official Free Up Mixtape". Check it out! 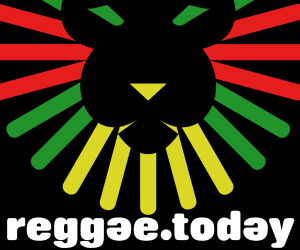 Ras Sound Int'l is a Reggae, Ragga and Dancehall Soundsystem founded by the Kenyan soundman Jah Maik and the Austrian radio DJ Cooler Ruler in 1992. Together they organised the first Reggae parties ever in Salzburg and provided good music on their radio show every 2nd Tuesday on 107.5 FM (radiofabrik.at) After being in Kenya for some time Jah Maik returned to Austria in 2006, and revived the sound with welcoming the new member Mykal. In 2008 the sound was expanded again and Selectah Cashyuh and Jah Maik's son C-Black joined the sound. Soon new regular parties were organised and today Ras Sound is well known in Salzburg for the regular live event Jamboree and the weekly date in Soda Club every Tuesday. But Ras Sound is also known in the whole of Austria for their energetic performances and since a couple of years Vienna is their second homebase, where they play regular shows for the successful party series Ready2Rumble, Viennese Vibez and supported artists like Beres Hammond, Busy Signal, Etana, or Chronixx. In 2012 they proved to be one of Austria's most talented sounds, when they defeated two other sounds at the PEOPLE'S CHOICE COMPETION in St. Pölten. Ras Sound also lives up to its name “international”: Jah Maik, who lives most of the time of the year in Kenya, organises regular dances in Kenya on his own soundsystem and also at shows in Serbia, Germany, Gambia, Ghana and even Kingston they were able to show their skills already. Currently the sound is focusing on their event promotion in Salzburg with artists like Junior Kelly, Ward 21, Skarra Mucci and many more and of course they are steadily expanding their versatile selection of exclusive Dubplates. Soon also C-Black's 2nd Hip Hop Album “Dark Desert” will be released. So no time to get weary, Ras Sound Inter-Outernational coming to you soon!! !